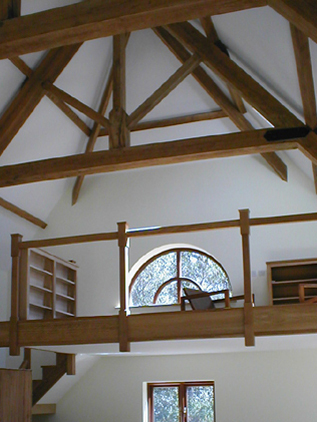 At M.J.Pryce Godalming, we know that you are looking for a builder with considerable experience and expertise. This is why we are pleased to say that we have more than 25 years' worth of experience in the building trade. If you are keen to work with a family run firm that will put your needs first, please get in touch. We are delighted to say that we have served so many clients in the Godalming area and we are pleased to have received so many recommendations and testimonials from clients. If you would like to see the positive feedback we have received from Godalming residents, please get in touch. While we provide you with a wider range of features and benefits, one of the most important elements of our service is the fact that it is a comprehensive service. We aim to provide you with everything you need from start to finish. No matter what sort of work you are having undertaken, we are happy to offer a consultation and then our team will design your conversion, extension, garage, or even new build. We will then carry out to the job to the highest possible, ensuring you only work one company throughout the entire project. Another major element of the M.J.Pryce Godalming service is the affordable nature of our work. We are able to draw on our experience and expertise to ensure you pay a fair and reasonable priced for all building work we undertake. We are able to offer competitively priced materials and our skilled team will work effectively and efficiently ensuring you receive a high level of value for money at all times. We are fully insured for all works undertaken. We offer a full service from conception to completion.